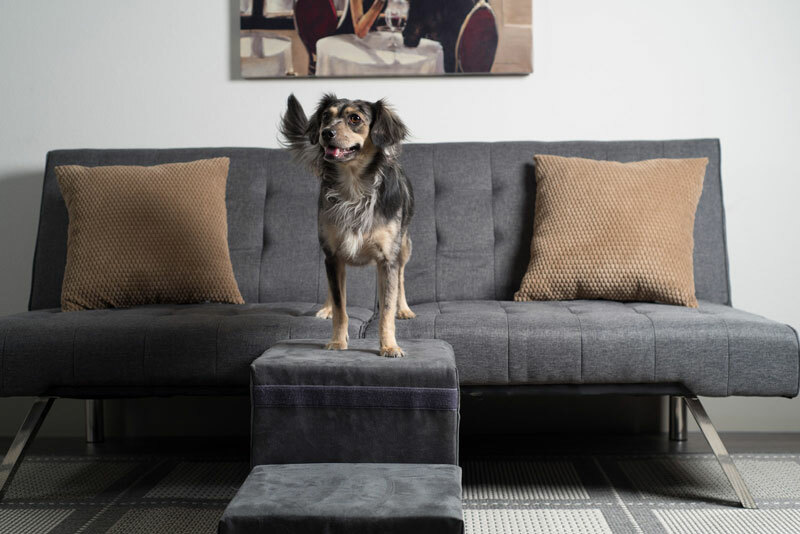 Does your pet pooch have trouble getting up on the bed or couch? 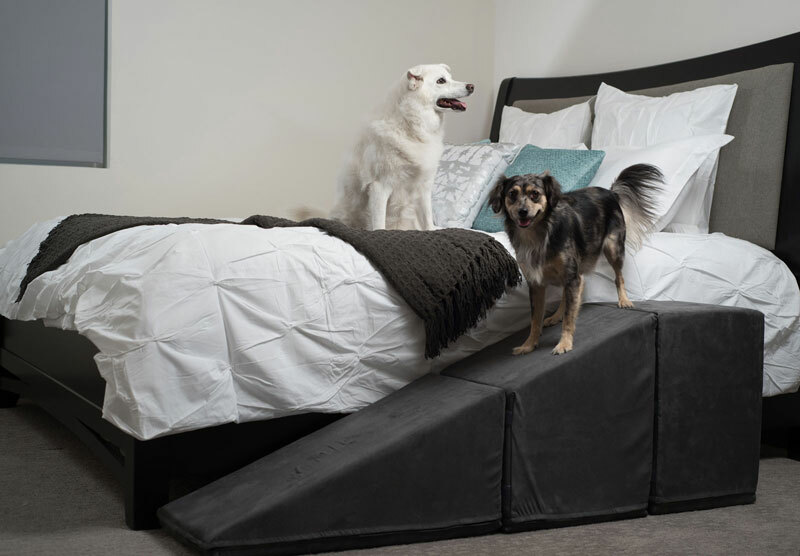 Do you want your senior or arthritic dog to get up and down the couch without straining its joints? 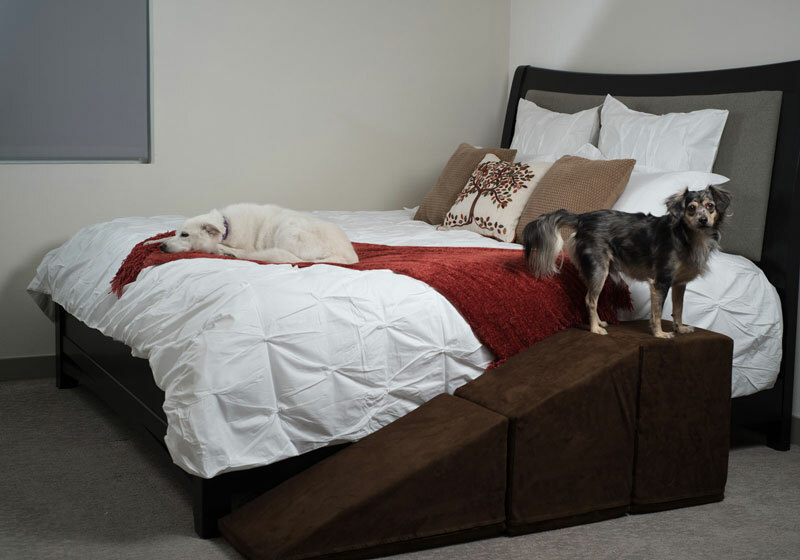 Try our range of dog stairs and dog ramps. Our products are designed to increase your pet’s independence without affecting their overall joint health. Whether it’s snuggling beside you on the bed or jumping on to your lap, pets love to spend time with you. But repeated jumping can be stressful for their joints, hip, and back. 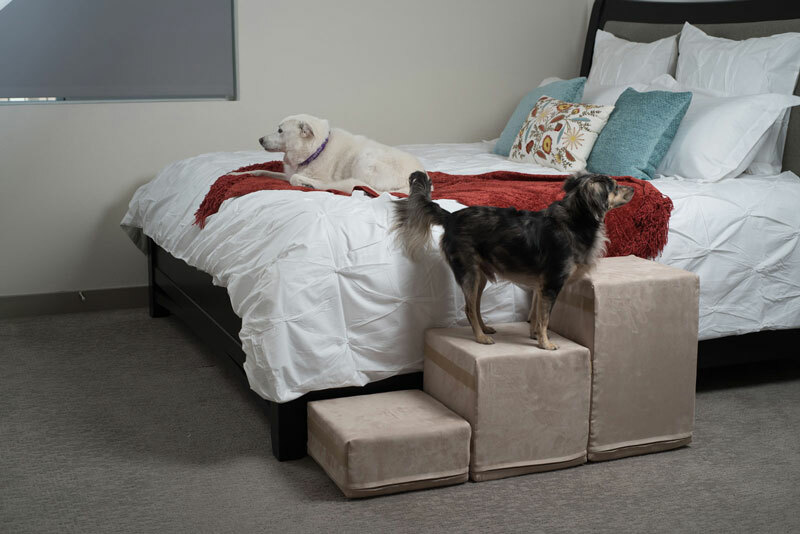 Our dog stairs and ramps help them hop right up with you with ease! 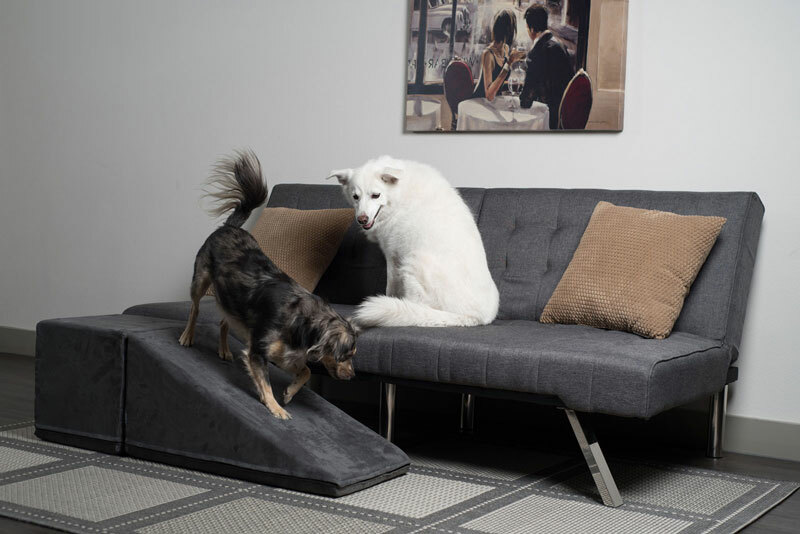 At Royal Ramps, we offer dog stairs and ramps in a wide range of styles and sizes. 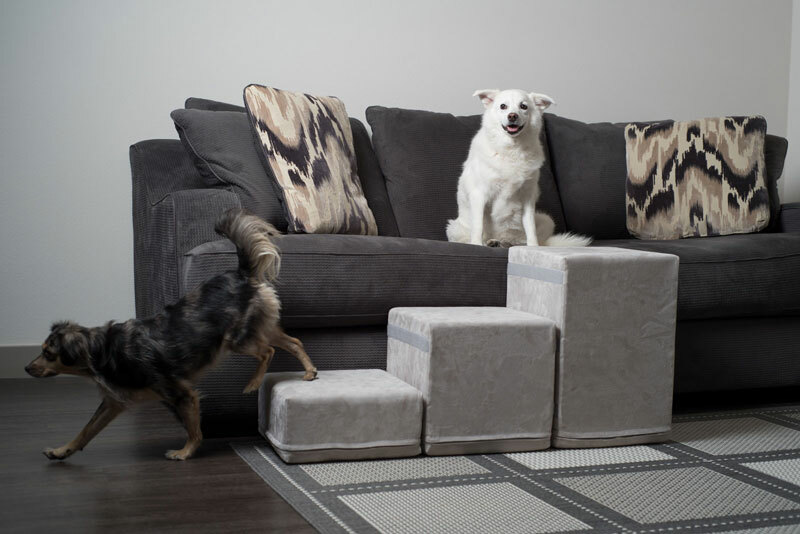 Choose from 1, 2 or 3- step dog stairs, or pick a high/medium model dog ramp. They come in a wide range of colors – pick one that matches your décor.